Free-to-air sport becomes harder to find as the BBC's 'crown jewel' list is eroded. June 2000 ... BSkyB shakes up UK sports broadcasting in the 90s as its subscription model means it can outbid rivals for plum events. The BBC still has access to "crown jewel" events, such as the Olympics and Wimbledon, reserved for free-to-air broadcasters, but gets a shock when it loses Premier League highlights to ITV. It wins the rights back three years later - but the world has clearly changed. February 2010 ... As a climate of financial austerity begins to bite at the BBC, the BBC Trust announces that all bids for future sporting rights must be subject to a test to determine whether the corporation is proposing to pay a reasonable market rate. BBC managers say that the new rules will make it impossible for them to compete, given that many rights deals come down to the cut and thrust of last-minute negotiations. September 2010 ... The BBC's hold on golf and athletics proves tenuous as it loses the World Athletics Championships to Channel 4, ending a 27-year broadcast run, and cedes exclusive rights to the US Masters golf, as Sky secures the rights to all four rounds at Augusta. July 2011 ... The BBC was jubilant when it stole the rights for Formula One back from ITV in 2009 (ITV had nicked them in 1997) but the corporation's smugness doesn't last long. In 2011, new budget constraints mean that it has to enter talks to share access with Sky - and Sky actually becomes the lead broadcaster, while the BBC will only screen ten "key" races live. April 2012 ... 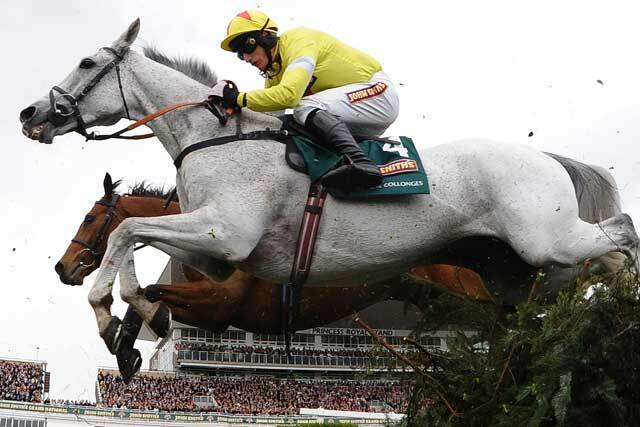 The BBC broadcasts its last Grand National for now - Channel 4 having completed its plan to buy the rights across all of British horse-racing. The network now has rights to Royal Ascot, The Derby and the Cheltenham Festival, as well as Aintree. Fast forward ... August 2012 - The BBC faces widespread criticism about schedule disruption caused by wall-to-wall coverage of the London Olympics - and it is assumed that UK coverage of the 2016 Games will be shared across several broadcasters. Worse is to follow when it's revealed that the All England Club has been talking to ITV and Sky about sharing the rights to the ultimate BBC sporting showcase, Wimbledon.